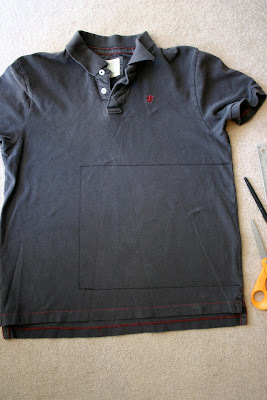 This time I was working with a polo shirt. I didn't want it to be really poofy, so I cut a rectangle out of the side. 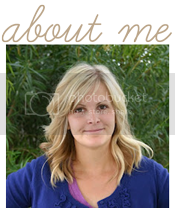 I serged the top & bottom hems & sewed the open side together. 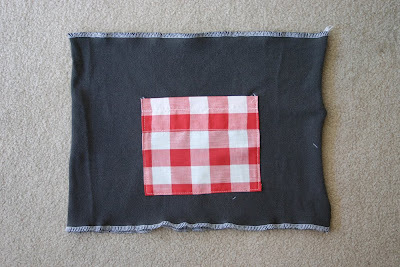 Then I made a pocket out of red gingham from a thrifted curtain & attached it to the front. Made a casing & the top & put in some elastic & it was done. But the pocket was huge & it was bothering me a bit. Claire liked it though & immediately started filling it up with stuff. Then Dylan came home from work & laughed at the big kangaroo pocket saying is was comedically out of proportion. Super cute! 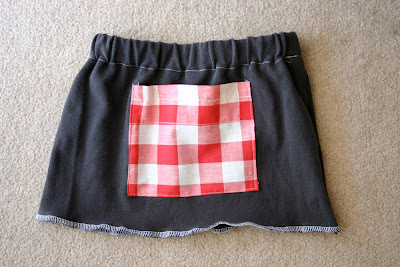 I need to get a serger to make things like that so much quicker. 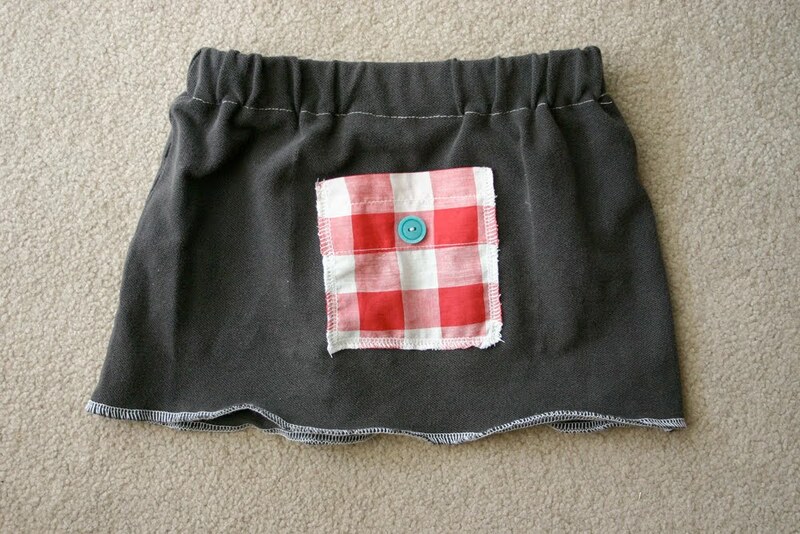 The big pocket is actually kinda cute, but I like the button one, too! I like it better witht he smaller pocket and the button. Very cute, I need to do this. 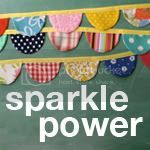 Totally cute, I just might have to whip up a few of these for my little princess. 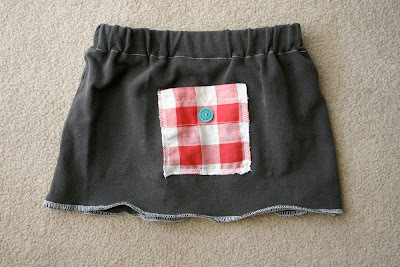 but since she's got a tomboy streak in her I might have to try my hand at making attatched shorts. Wow...I need to send you all of my husbands old shirts so you can go to town making these...they are seriously so stinking cute! 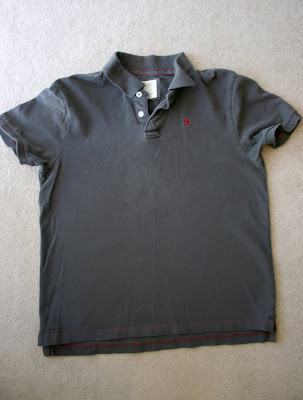 WoW…You need to send all my old t-shirts and wife are in such a way that you can go to city processing… so seriously cute stinking!Polo shirts..